MBS Guru: Resolving "Error occurred in deployment step 'Activate Features': Invalid file name"
Resolving "Error occurred in deployment step 'Activate Features': Invalid file name"
The other day I was working on a SharePoint project that required the deployment of a Content Type, a List Template, a couple of List Instances and a couple of Feature Receivers. Things were coming along well until I started to reorganize the project. I dragged the List Instances into the List Template folder and renamed several folders to better represent their purposes. When I went to deploy, I got the error: "Error occurred in deployment step 'Activate Features': Invalid file name". I looked around the .spdata files, checked the Feature file and double-checked them all again. Everything looked right. The ULS Logger wasn't much help but it did give me the actual exception: "Exception: Microsoft.SharePoint.SPException: Invalid file name. The file name you specified could not be used. It may be the name of an existing file or directory, or you may not have permission to access the file"
Still not much help. I removed all the items from the feature and was able to deploy successfully. Unfortunately, a feature that doesn't do anything isn't much good so I started adding items and deploying one at a time. Feature Receivers: Check. Content Type: Check. List Template: Check. List Instance: Failed. After looking at the List Instance for a while and not seeing the problem, I deleted the Instance from the project and recreated it from scratch. I added it to the feature, deployed and it failed again. <!-- Do not change the value of the Name attribute below. I had renamed the List Template folder from within Visual Studio but it did not update the ListTemplate Name element. After correcting the Name to match the new folder name everything worked and the world was right again. Deleted list instance 'Lists/SomeAwesomeList' from server. thanks. you saved me another sleepless night. Microsoft developers can be so stupid at times. Thanks for that. Saved me a lot of time. thanks.. it worked like a wonder!! UPDATED! Record Lock Trace for GP... FREE! Password Expiration Notice for GP... FREE! PO Account Required for GP... FREE! 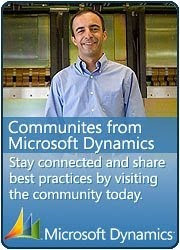 Dynamics GP, CRM, .Net, & SharePoint: ShuffleMaster, Inc.
Dynamics GP: Gibson Guitar Corp.
Microsoft Unified Communications: Gibson Guitar Corp. 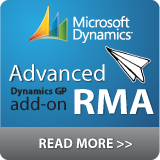 Posting Dynamics GP Transactions Automatically "Autopost.DLL"
This site is managed by a co-founder and managing partner of Straight Arrow Consulting, Inc. This is a personal site and the opinions here are not necessarily those of Straight Arrow Consulting, Inc.
Use of all advice, code, suggestions, recommendations and other information is provided on this site at your own risk. No warranty of any kind is provided for the use of this information. Site owner is not responsible for any use or misuse of this information. This site is not affiliated with Microsoft. Microsoft, Dynamics GP, Dynamics AX, Dynamics NAV, Dynamics SL, Dynamics CRM, the Microsoft Dynamics Logo, Great Plains, Navision, Axapta, SQL Server, and FRx are registered trademarks of Microsoft Corporation.